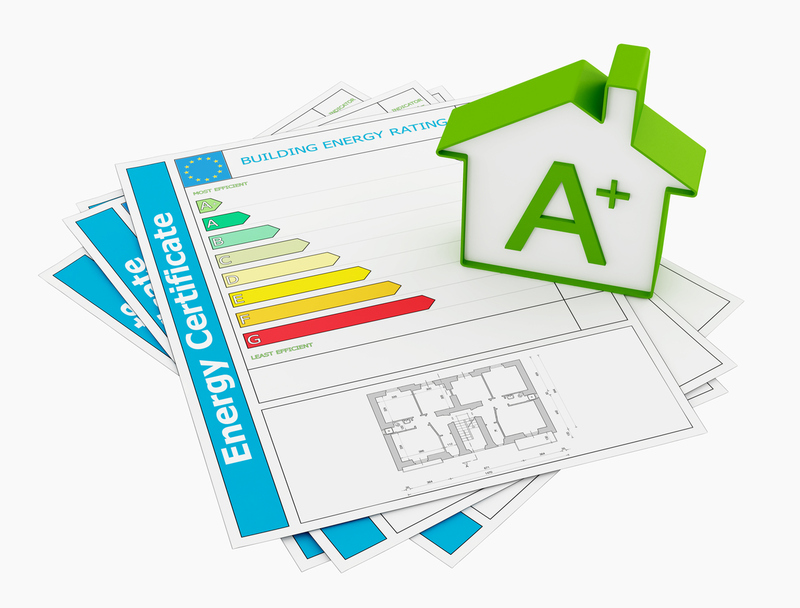 An Energy Performance Certificate (EPC) is basically a document which informs you of your home’s energy efficiency. They are no longer needed to sell your home. It can also tell you about your home‘s impact on the environment vis a vis carbon dioxide emissions in contrast to homes of a similar size. I thought I don’t need an Energy Performance Certificate any more? The new government has done away with Home Information Packs (HIPS) in an attempt to save home movers money as well as time. However, Energy Performance Certificates are highly likely to stay. Energy performance certificates were initially part of Home Information Packs (HIPs) which the new coalition government has terminated. How is my home graded in an Energy Performance Certificate? An EPC is based on the A-G energy scale which is the same scale we know from labels on white goods. The A-G energy scale is shown in the form of a bar scale, with A shown in green at the top of the scale and G shown in red at the bottom of the scale. A represents the most energy-efficient, with G being the least energy-efficient. The technical assessment for an EPC is undertaken by a specialist domestic energy assessor who goes through your entire home and undertakes the assessment. What factors are considered in an Energy Performance Certificate? Whether or not there is any secondary heating. The assessor then processes all this information and then the data is compared with homes of a similar size. Hereby the chart highlights your home’s present efficiency rating and its potential efficiency rating. Along with your rating you will find various recommendations for how you can make your home more energy-efficient as well as environmentally-friendly. Why an EPC is important? Approximately a third of our carbon emissions are emitted from our homes. EPCs are a fundamental way whereby the government can encourage people to make their homes more energy efficient and reduce carbon emissions. Legally you need to have an EPC if you are renting out or selling your home. EPCs have two major functions. The rating is designed to assist tenants or home buyers to select between properties. Tenants are going to want to know the heating costs for their property. Should a tenant consider a G rated property it means that there is a very old boiler in the property. Consequently, they will know that the property is going to prove quite expensive to heat. Whereas, should a tenant view a similar property which has a B rating it will mean that it is a lot cheaper to run. Secondly, an EPC comes along with various recommendations which the landlord or home seller can utilise to enhance the energy rating of the property. Should your property not have any cavity wall insulation, the EPC can recommend undertaking this. It is not very expensive to do this and it will save you many hundreds of pounds in energy use in the long term as well as improve your home’s EPC rating. What does an EPC cost? EPCs for home sales became compulsory from 1 August 2007 and they became mandatory for rental properties from 1 October 2008. The present cost for an EPC ranges from £40 to £75. The price varies dependent on property size and regional variation. Moreover, the market sets the price. Domestic energy assessors compete to produce EPCs. Hence, they are more expensive in certain areas in comparison to others. It usually takes about 45 minutes to get an EPC. The law in regard to EPCs has changed upon HIPs being abolished. Previously, when you were selling a property you would need to have an EPC undertaken prior to putting it on the market. Now your property can be put up for sale without an EPC given that you are booked in for one and that it will be available within 28 days.